The NLRB Office of the General Counsel (OGC) issued an advice memorandum in Nutritionality, Inc. d/b/a Freshii. The OGC addressed whether the Freshii national chain was a joint employer with Nutritionality, Inc., which operated a single Fresii in Chicago. I'm something of a fast food connoisseur... but I've never heard of Freshii - I'll add it to the list. This is a tricky issue for chains that operate under a franchise model. 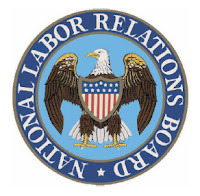 Sometimes - *cough* McDonald's *cough* - the corporate chain gets dragged in to labor disputes as a joint employer by the NLRB. NLRB Seal - Not official use. The Board will find that two separate entities are joint employers of a single workforce if they “share or codetermine those matters governing the essential terms and conditions of employment.” To establish such status, a business entity must meaningfully affect matters relating to the employment relationship “such as hiring, firing, discipline, supervision, and direction.” As recently noted by the Board in CNN, the Board and the courts have also considered other factors in making a joint employer determination, including an employer’s involvement in decisions relating to wages and compensation, the number of job vacancies to be filled, work hours, the assignment of work and equipment, employment tenure, and an employer’s involvement in the collective bargaining process. Under that standard, the Board finds joint employer status where, under the totality of the circumstances, including the way the separate entities have structured their commercial relationship, the putative joint employer wields sufficient influence over the working conditions of the other entity’s employees such that meaningful bargaining could not occur in its absence. This approach makes no distinction between direct, indirect and potential control over working conditions and results in a joint employer finding where “industrial realities” make an entity essential for meaningful bargaining. In Freshii, the OGC concluded that the chain was not a joint employer under either standard.